Education is extremely important. It prepares you for the future and helps you better understand your world today. Each one of us has talents that we can share with others. We also all have weaknesses -- areas where we need the help of others. In order to make our classroom a positive learning environment, we all need to work together to create a community where we learn from each other and feel safe to take educational risks. This means making mistakes is a good thing, as long as we learn from them. It means asking questions is essential to learning. It means recognizing that you have knowledge to share and that there is tons of knowledge you can gain from others. We must all celebrate our differences, unique talents, and various areas of expertise if we truly want to grow and learn. It takes everybody working together to make fifth grade a success. Let's all determine to make this a great year! At Vincent, homework is given to students in order to reinforce the learning that takes place during school hours. Fifth grade students should expect about 45 minutes of homework each night. They should also read for 20 minutes each night, since students who develop a daily routine of independent reading do better in school. Although homework is not typically given to fifth graders over the weekend, they may be expected to work on long-term projects or study for tests over weekends and breaks. A strong partnership between home & school is vital to successful learning, so some homework may require the support of parents. This may include reading with parents, writing conferences, studying for tests, and science fair experimentation. Parents who provide support and positive reinforcement, but do not take over the project or assignment, are best helping their children grow and learn. Although parental involvement is highly encouraged, please remember that it is the child's assignment. 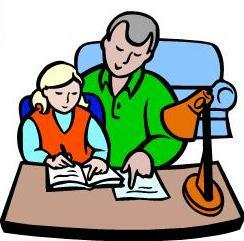 Homework completion allows students to independently practice skills as well as prepare for in-class learning. There are times when an incomplete homework assignment will limit the student's ability to participate in a lesson. 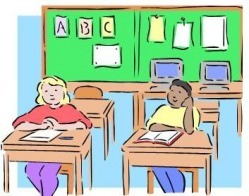 Therefore, all students are expected to daily complete assigned homework. Each time a student does not complete his or her homework, it will be recorded by Miss Mitton in his/her planner. To help fifth graders become responsible learners, they are each given a planner. The students are expected to record their daily assignments in the planner and bring their planner to class everyday. Developing personal organization and responsibility is the key to success in the upper grades, so students who do not keep their planner up-to-date and/or bring their planner to class may face academic consequences. In order to make the most of our time in the classroom, each student needs to practice behaviors that encourage learning, participation, cooperation, and teamwork. Students will have various opportunity to earn rewards and recognition for outstanding classroom behavior and citizenship. These include, but are not limited to, earning items from the class store (such as pencils, homework passes, etc. ), recognition on the class website, Caught Being Good slips, lunch with Miss Mitton, a positive note/call home, a "gold level" student, and much more. On the other hand, behaviors that impede the learning of other students will not be accepted. Some behaviors, such as harsh language or hitting, will cause a student to move their bug more than 1 color down the scale and/or require the student to visit the principal. Click the pdf file below to see our schedule for 2009-2010. You will need Adobe Reader to view it, but you can download this safe program here (with a parent's permission). Students should arrive well-rest by 8:30 each morning. 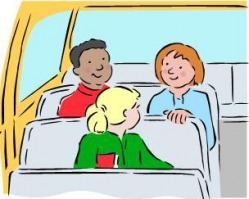 If a student is sick or absent for non-school sponsored travel, they will need to complete any missed work within 3 days of returning to school. While a student is away from school, the class secretary will create an absent folder and daily record; however, it is the absent student’s responsibility to collect and complete any missed work. Unfortunately, much of the work completed during the school day cannot be completed outside of the class or independently (as we do a lot of small group instruction and group work). Therefore, frequent absences limit the academic growth a student can make, and not all work missed during illegal absences will eligible for make-up. This means illegal absences can hurt a student's grade and limit academic progress. As per district policy, no student may take non-school sponsored travel during the PSSA testing window. *Math, reading, and writing testing: April 7th - April 23rd. Families are also encouraged to avoid absences during the weeks prior to PSSA testing windows.